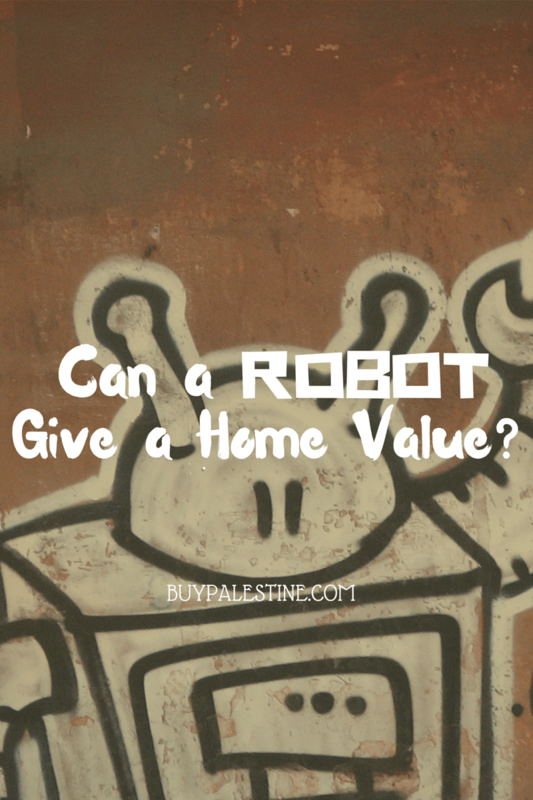 Palestine Real Estate & Palestine TX Homes For Sale | BuyPalestine.com CAN A ROBOT GIVE AN ACCURATE HOME VALUE? 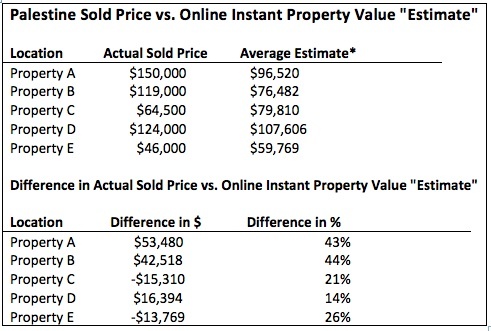 CAN INSTANT ONLINE “ESTIMATED HOME VALUES” BE TRUSTED? This data is seriously freaky…please do not lose money by trusting these automatic valuations! 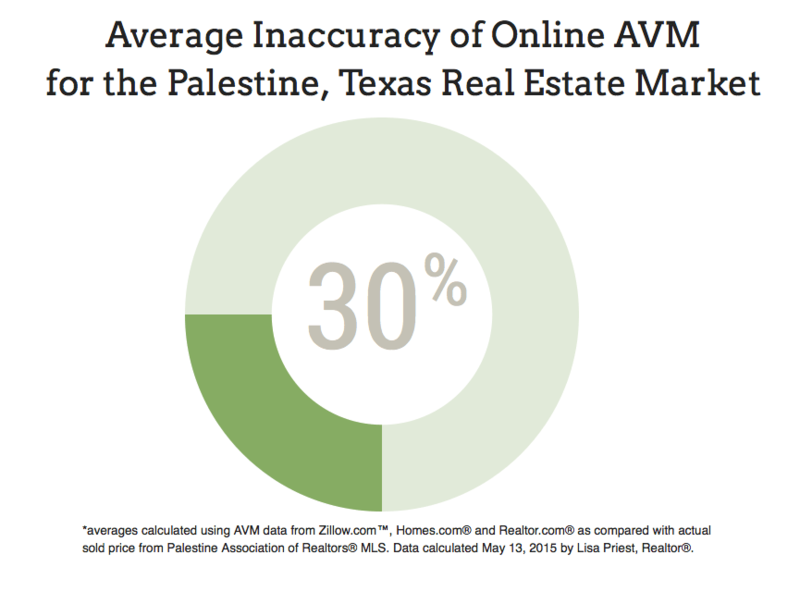 *averages calculated using AVM data from Zillow.com™, Homes.com® and Realtor.com® and then compared with the ACTUAL SOLD PRICE from Palestine Texas Association of Realtors® MLS. This data was pulled from 5 recent home sales in Palestine, Texas. This is real life, folks. AVM values are often lower than the true market value. For example, if the seller on Property D were to follow the advice of the online AVM, we would have listed at $107,606. It sold for $124,000. My clients would have lost $16,394 by listing at the AVM price. However, AVM estimates can also go the opposite direction and overvalue a property, as in Property E. If the sellers had gone with the AVM price and listed at $59,769, the property would likely still be sitting unsold, because the true market value was actually lower. No matter where your property lands on the AVM (be it a high or low value), it adds stress because buyers in the marketplace do look at these “valuations” and assume they are correct. Unfortunately, as you can see, it is typically not the case. For real estate agents, it is a daily battle. The AVM might be a place to start in determining value, but it should not be used alone to determine fair market value of a home. To determine the correct value range for your home, talk to your real estate agent and get a value based on real local data, not guesses from robots in Saskatchewan. There is no better weapon in determining value than your real estate agent. Real estate is and always will be local. Get the inside scoop from the boots (or heels!) on the ground. Real estate is, generally speaking, one of the safest investments there is. Make no mistake, though, it is likely one of the biggest investments you’ll ever make. When it comes time to buy and sell, get help from an expert, don’t leave it to some random website that has no local market insight. Just like everything else in life, knowledge is power–just make sure it is based on reality and not from a drunken robot. Want to know what your home is REALLY worth? Call me today for a free, no hassle estimate of value–or fill out this form. Lisa E. Priest thinks most robots are kind of cute and is a Palestine, Texas REALTOR® with Picket Fence Realty, Inc. You can reach her via phone or text at 903-948-3343 or read more at BuyPalestine.com. home valueswhat is my home worth?